Super Savings Item! Save 33% on the Winchester Adjustable Closure Americana Mesh Back Cap, Realtree Xtra Camo by Winchester at Freedom from Government. MPN: WIN43A. Hurry! Limited time offer. Offer valid only while supplies last. 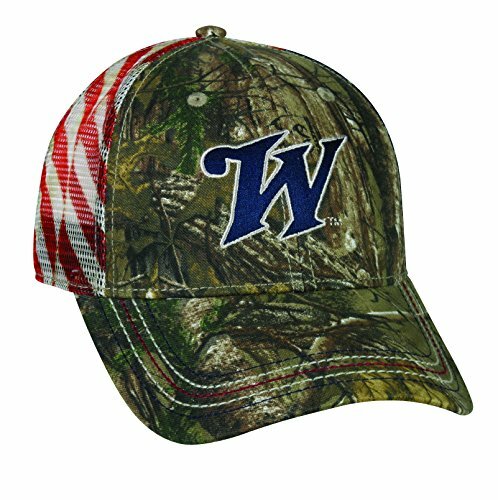 This structured Winchester mesh back cap features front embroidery with the American flag sublimated on the back. This cap is medium washed. This structured Winchester mesh back cap features front embroidery with the American flag sublimated on the back. This cap is medium washed. Adjustable plastic snap closure ensures a comfortable fit. One size fits most. If you have any questions about this product by Winchester, contact us by completing and submitting the form below. If you are looking for a specif part number, please include it with your message.